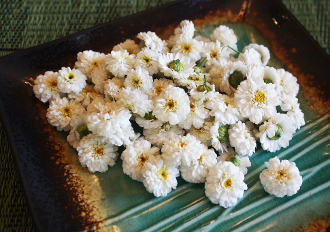 Small off-white flowers with a yellow center resembling chrysanthemums. Top chocolate truffles or specialty cakes. Add a pure, lovely color, floral fragrance & bitter taste to green salads. About the size of a nickel.